Easy to edit. Friendly service. Award-winning team. Squarespace authorized. We create clean, good looking, optimized websites that help you stand out and grow. 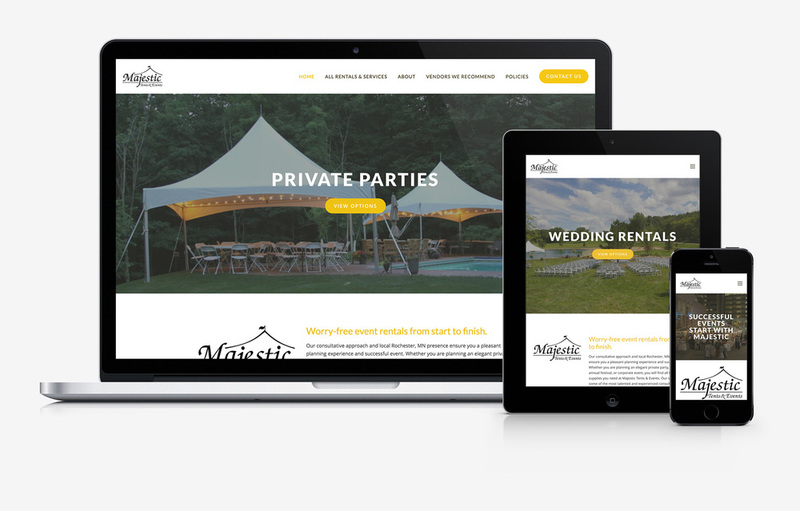 Most clients come to us for a new website, but what they end up with is a better business. We'll provide you with the strategic guidance for online success from start to finish, and provide you with the training needed to successfully manage your own website content long-term if you wish, or we can provide ongoing consulting and support too. Everything we do together will be based on your unique goals and our personal commitment to quality, service, and growth. Recently, we were selected by Squarespace as one of less than 100 firms globally for both their a Squarespace Circle and Squarespace Authorized Trainer program. Our parent company, BrandHoot, provides custom web and mobile solutions for some of Southeast Minnesota's most impactful organizations such as Destination Medical Center, Mayo Clinic, the Rochester Area Chamber of Commerce, and Powers Ventures. Along the way, we have also worked with many smaller organizations to understand the common website challenges you face. Our business began in a tiny attic during the winter of 2012. We truly started from the ground up, just like many of our clients like you. We understand the value of hard work, a smile, and a handshake. Backed by the award-winning team of experts at BrandHoot, PixelPress provides expert quality website and consulting services at a lower price point. View client examples or see our process.